Disclaimer: This post is not interesting to you if you’re not that much into computer-based music production and/or MIDI controllers. I recently acquired a new audio interface. It’s beautiful and I love it. It’s as if someone went around and asked people what they are expecting from a good audio interface. Then that someone went home (i.e. to his/her company) and built it. The amount of available audio interfaces on the market is incredible and it shows how different people’s needs and manufacturers’ responses are. In my case, I was lucky enough to either have a very common setup that is being covered by this audio interface (and probably some others) or someone was eager enough to push for those exact requirements (could be a customer, product manager or someone else). Regarding MIDI controllers I think we’re on a similar level. Especially when it comes to small portable devices there’s a big variety to choose from. Regarding Ableton Live controllers the selection is understandably smaller. 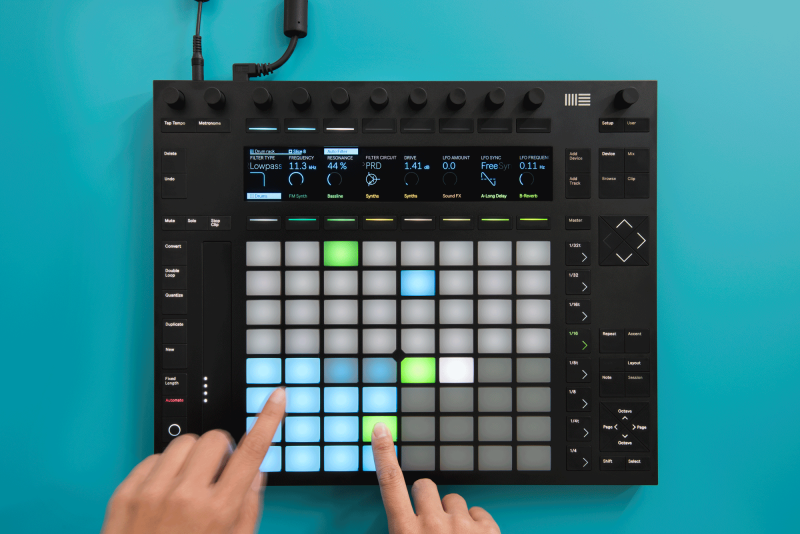 Right now there’s Ableton’s own Push, Akai’s APC 40 and Novation’s Launchpad that kind of started it all back in 2009. * Then you have smaller versions of those that sometimes even work well with iPads and are arguably more targeted towards (casual?) musicians on the go. 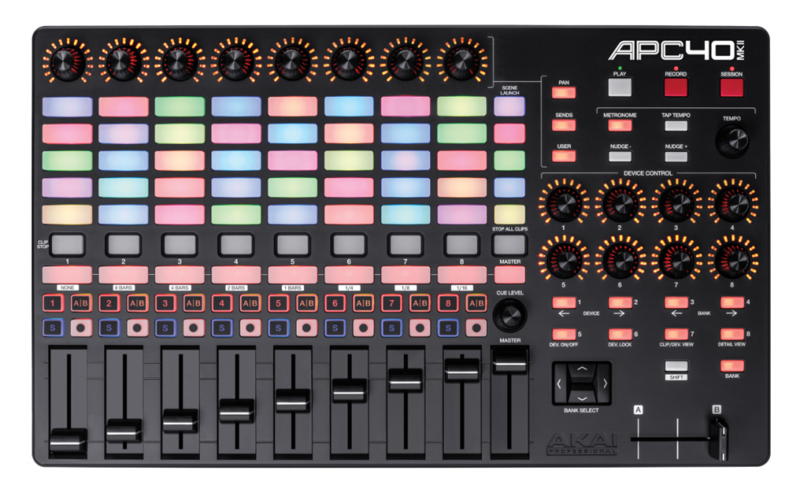 I tried out many of those Ableton Live controllers and since I always found some flaws that bugged me out I’m wondering whether someone will ever build the perfect Ableton controller for my needs (just like what happened in regards to the audio interface)? The Ableton Live controller of my dreams would certainly feature elements that already make the current controllers so great. being USB-powered (it’s always nice to rely on less gear that can break or be forgotten). two foot switch inputs that can be used versatilely. I also took a look at the Launchpad, of course, but really couldn’t find any exclusive features that would further improve my controller of dreams. That doesn’t mean it’s not a good device – I’m sure it’s a big source of inspiration for all kinds of pad controllers (and apps). Controllers are great and dreaming about them is fun (at least for me). I really can’t wait to see what the next generations of the aforementioned devices will deliver and how their developers will improve them. Afterall they need to convince existing customers to migrate or upgrade from their first- or second-grade devices to the new generation. It’d also be great to see even more variety when it comes to future Ableton Live controllers (don’t forget about my LED encoders, dear developers). ** Until then I’ll stick to what’s available and am happy about how minor my problems in this world are. Bonus Link: If you don’t know it yet, check out the beautiful and well-maintained list of MIDI controllers at Controllers.cc. * If you want to be more lenient, you could also count devices like Livid Instruments’ Base and various iPad apps as Ableton controllers. But in this case I’m talking about hardware specifically built for Ableton. **So while wishing for a more diverse controller market, I’m at the same time dreaming about a device that merges the best out of two existing devices, effectively consolidating the selection.